It is now almost confirmed that Apple would release the next-generation iPhone or iPhone 4G during Worldwide Developers’ Conference in June. The high controversial question about the release of Verizon iPhone still remains unanswered. There were two update which came in yesterday about the iPhone or iPhone 4G yesterday. The first one was regarding the Skype 2.0 for iPhone which appeared on iPhone App Store. The new version of Skype allows calls over 3G and it has many features improved which are not found in the Skype 1.0. One could only call over Wi-Fi with the older version of App. However Skype also announced that it will charge for Skype-to-Skype calls. The calls will be free until the end of August for people to get used to it. On the other hand, AT&T plans provide insurance plan from iPhone. 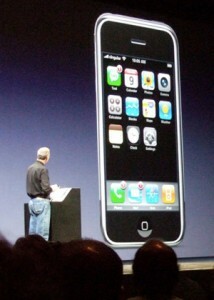 The insurance plan could be purchased from just a day before the possible launch of iPhone 4G. The plan will cost $13.99 per month. Customers losing or damaging the phone will have to pay $99 to replace iPhone 3G or $199 for iPhone 3GS. by Boy Genius Report (BGS), which broke the story, also noted that currently its costs $699 to get the replacement of lost, damaged or stole iPhone. TheStreet also reported yesterday that highly anticipated Verizon iPhone with be available the sleeves before the Christmas Shopping. Sindh Today could not confirm the report from Apple or Verizon. The hot topic related to the iPhone 4G is the possible release of Verizon iPhone. There are many rumors and gossips about the upcoming release of Verizon iPhone. While some analysts are expecting that Apple’s Steve Jobs will show both iPhone 4G and Verizon iPhone during the keynote speech of WWDC 2010 but others are claiming that iPhone of Verizon will be released before Black Friday of 2010. IIFA comes at a critical moment for Sri Lanka: Jacqueline Fernandez (Interview) » « Spice Girls planning for comeback?